We provide comfortable surroundings and extended 15 minute appointments to give you the attention you deserve. We also work hard to ensure you can see the same vet every time you come to our surgery. 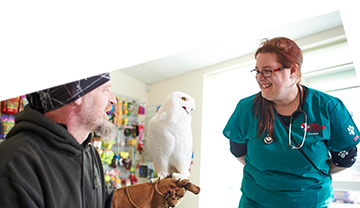 Our extended opening hours, flexible appointments and Saturday and Sunday surgeries all add to our core aims – to provide the best possible care for you and your pets. Our nurses provide a range of free advice consultations including weight checks, dental clinics, senior pet checks, and diabetes clinics.